MBA002: Lot 6. 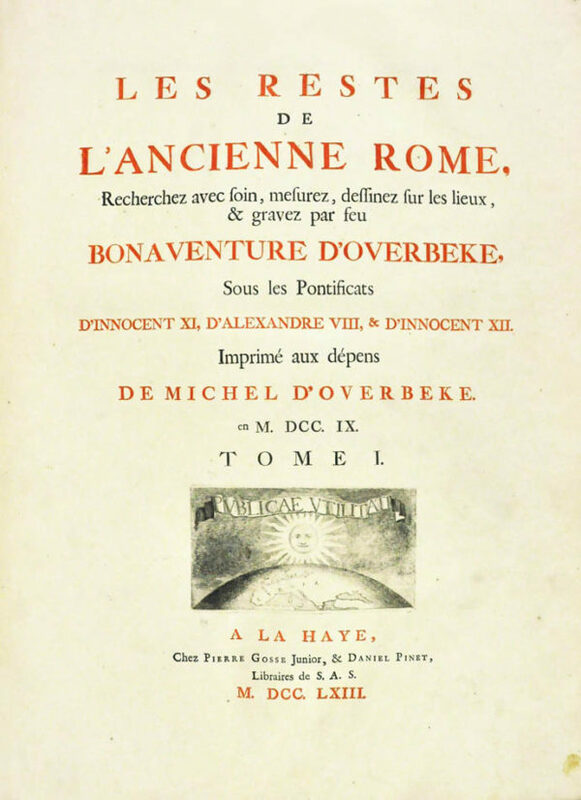 OVERBEKE, Bonaventura Van. Overbeke had made several visits to Rome, where he had drawn and measured a number of the more important classical ruins. 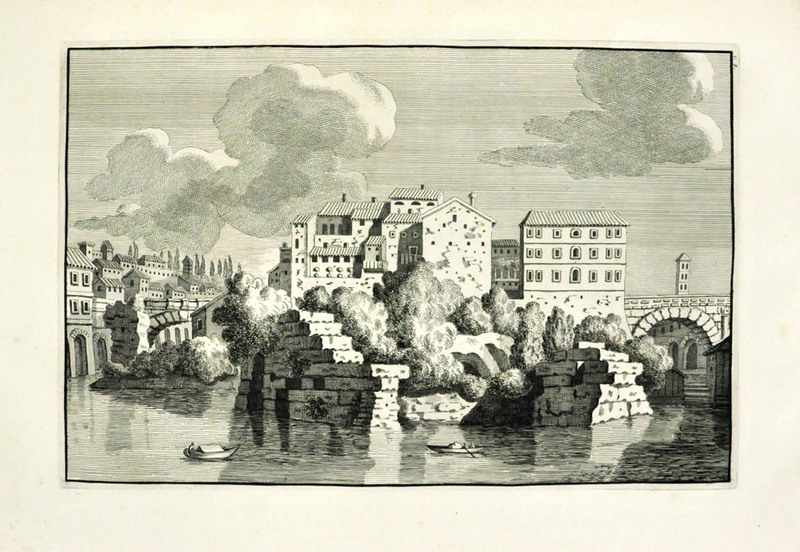 At his death he was still transforming these sketches into the engravings for a book and composing the Latin text; the work was completed by his nephew Michel. Large folio (51.8 x 38.7cm. ), 3 volumes in one, half-title, engraved frontispiece, titles printed in red and black with engraved vignette, engraved frontispiece to dedication, engraved portrait of the author by Vermeulen after Le Blon, double-page engraved map, engraved illustrations, woodcut initials, 146 engraved plates (46+50+50), one double-page. [WITH] BARBAULT, Jean. 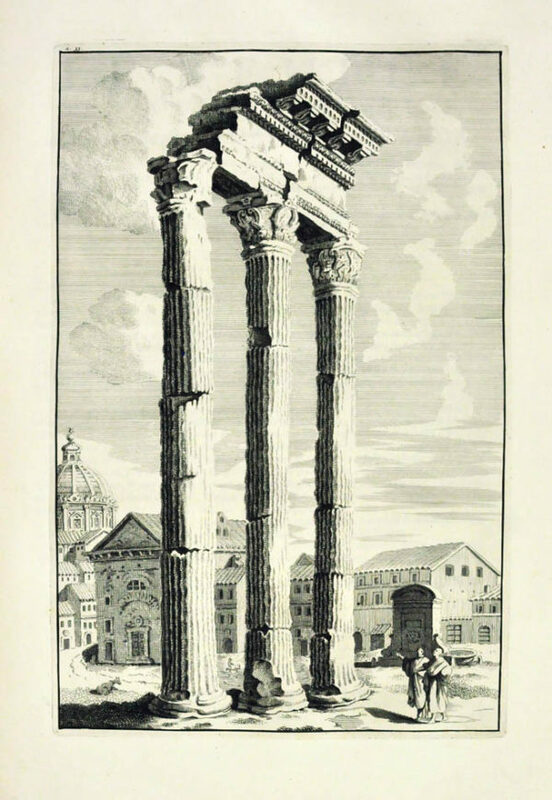 Vues des Plus Beaux Restes des Antiquités Romaines telles quelles subsistent encore à Rome et en Divers Endroits de l&apos;Italie… I (-II) cahier. 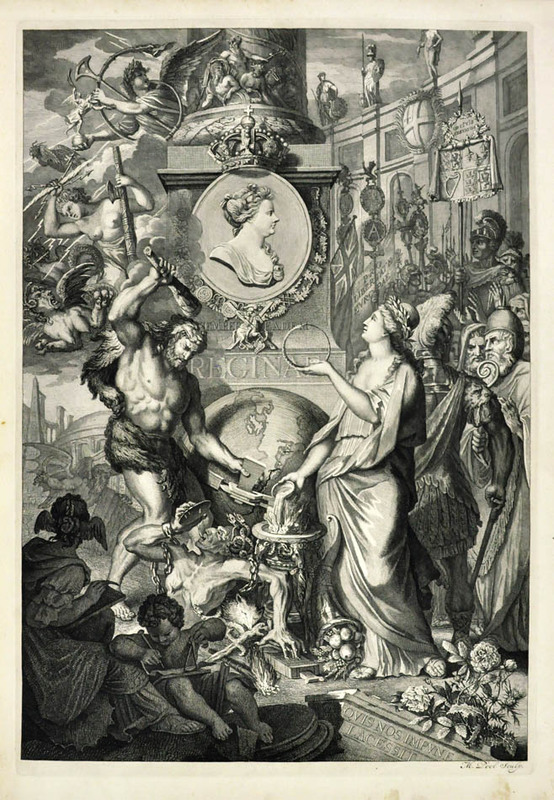 Rome: Boucher & Gravier, 1770, 2 parts in one, titles printed in red and black, 30 engraved plates (15+15), without parts 3-5. Together 5 parts in one volume, contemporary catspaw calf, gilt fillet border, spine gilt in compartments. Provenance: Eus. Horton, armorial bookplate.